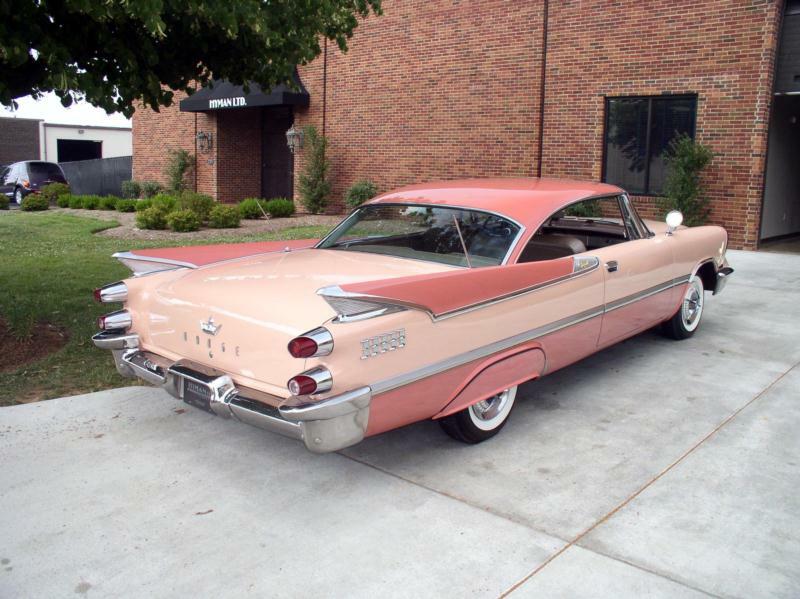 Dodge’s marquee 1957 Royal and Custom Royal models, like the rest of the Chrysler Corporation’s product offering that year, adopted “Forward Look” styling, dubbed “swept wing” for the Dodge nameplate. Led by Virgil Exner, the Forward Look designs featured sweeping fins that set the car in motion before the accelerator was even pressed, and chrome trim everywhere. The cars were also long, low, and wide, with wraparound windshields and jet-exhaust-styled taillights. Modern engineering features matched the fresh looks, with front torsion bars. The Royal and Custom Royal retained a full model range, with hardtops, sedans, convertibles, and station wagons all being built. The 315-cid “semi-hemi” V-8 from the 1956 model year was bored out further to 325 cid, with a 245-hp two-barrel setup being standard on the Royal and a four barrel carb good for 260 hp being installed on the base Custom Royal. The D-500 option was available again on both Royal and Custom Royal, generating either 285 hp or 310 hp depending on induction. 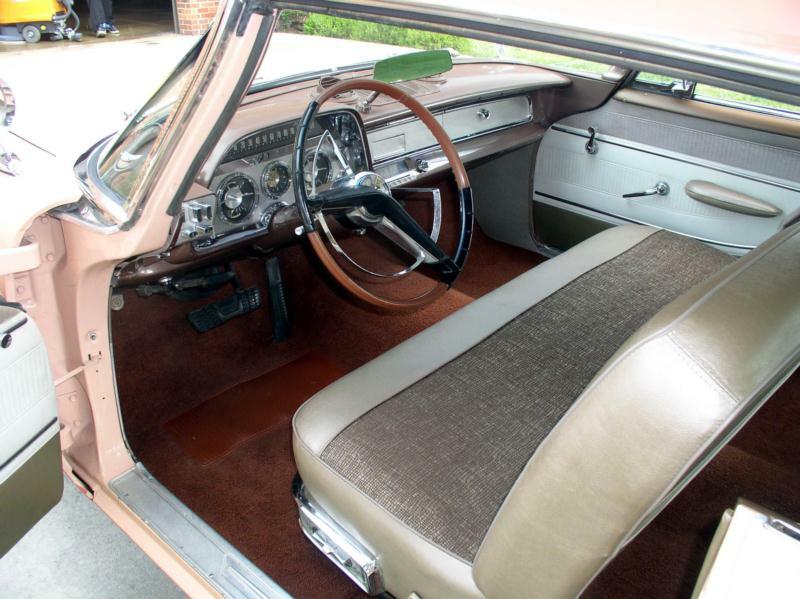 Chrysler’s advanced new three speed automatic, the Torqueflite, joined the two-speed Powerflite on the option list, and both transmissions utilized push-button selectors on the instrument panel. 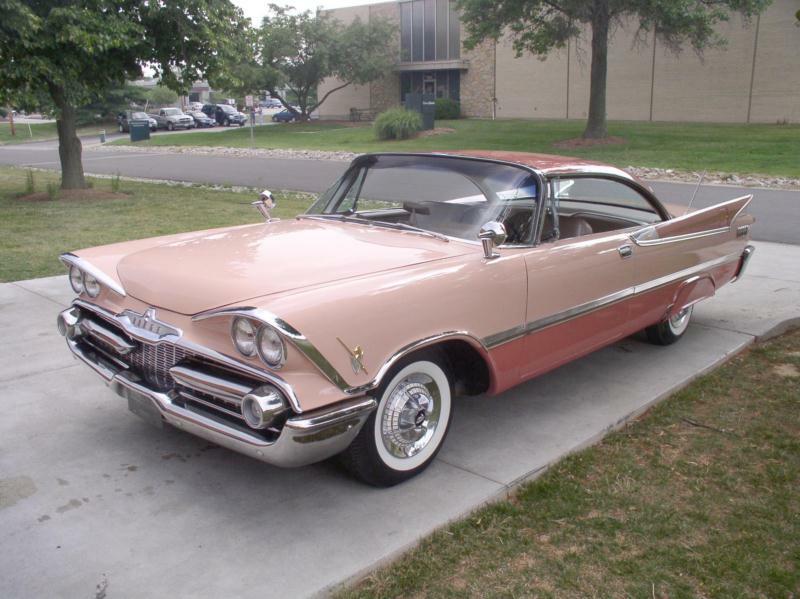 The 1958 Dodges incorporated several exterior changes including new dual headlamps and dual hood ornaments. The largest changes were under the hood, though, as new short-stroke, big-block engines that featured a “Wedge” combustion chamber were added to the lineup. The new motors were available with displacements of 350 and 361 ci, with up to 333 hp. The small-block 325 continued to be the standard engine on the Royal, with a 295-hp big-block being standard on the Custom Royal. The 1959 Dodges were slightly restyled again, as was standard procedure for Detroit in the late 1950s, with the largest change once again being under the hood. The big-block “Wedge”’ V-8s grew to a choice of 361 or 383 ci and up to 345 hp, with the smaller being standard on the Royal and larger being standard on the Custom Royal. Inside the car was a new elliptical steering wheel and the option of swivel front bucket seats which aided entry and egress. The cheapest Royal of this year was a $2,934 four-door, while a Custom Royal convertible carried a price of $3,422. The Dodge Royal was vastly outsold by the Coronet during this period, and it is seen less much often today. As such, parts and trim can sometimes be a challenge to source, depending. Two-door models and convertibles command the highest prices, with station wagons having a cult following. Sedans remain abundant and affordable, and represent a more affordable entry point to the hobby.